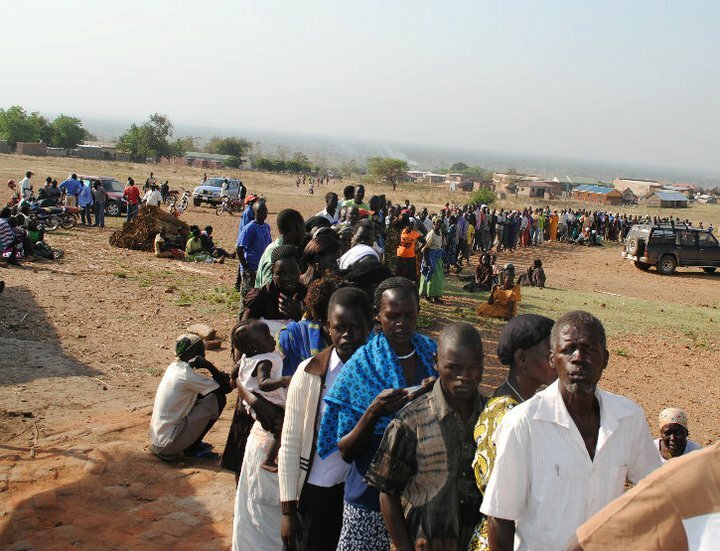 Millions of southern Sudanese took small steps towards their own independence this week as they queued in lines across the region to vote in the historic referendum. On Saturday 8th January a fleet of a dozen buses packed with Sudanese exiles drove up through Uganda’s dusty roads and crossed the border on Sunday morning to reach Abila, a village that lies at the very south of Sudan. The buses could have been filled with revellers or football fans after a cup victory. Horns blasted out of the windows. South Sudan flags waved gleefully. On arrival they found and embraced their family members. In a more solemn mood, they queued and cast their ballot that morning. “I want to vote for separation so that tomorrow, I’ll be free to do anything” said James, a Sudanese student living in Kampala. He said he would move back to Sudan as soon as he completes his studies. He may have an eye on the business opportunities that independence will offer. 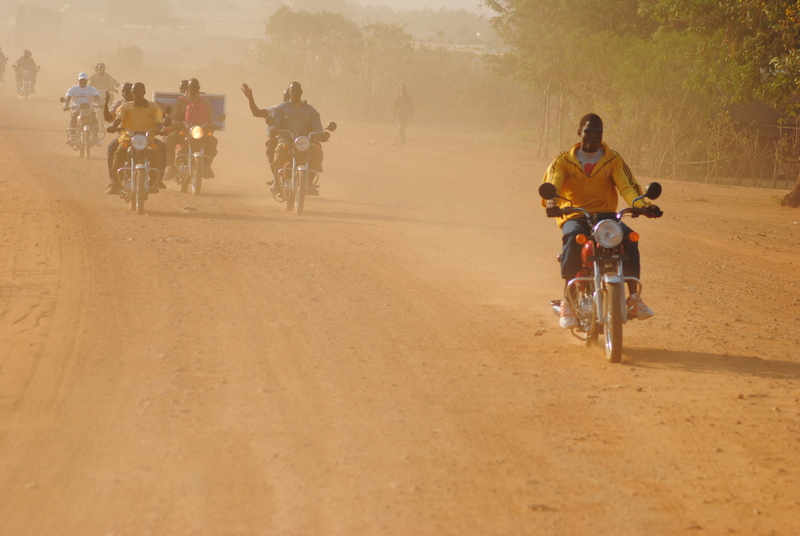 Later that Sunday Abila saw traditional Dinka dances scuffing up the dust, casting golden clouds around us in the late afternoon light. Christians paraded through the town with banners and crosses. Women ululated throughout the day, their shrill cries catalysing the sense of exhilaration. “Home is home” said the student, “being away from home, you’re like a river without a source”. “Today is a very wonderful day” smiled Santino Garang, a southerner from the Dinka tribe. It was Sunday 9th January, the first day of voting. The results will be announced next month. The required 60 percent turnout to validate the vote has reportedly been achieved. The vote for secession is assured. Southern Sudan has suffered from deliberate neglect by successive Arab-dominated, Muslim governments. And two north-south civil wars lasting 37 of the 54 years since independence have shattered what little infrastructure existed in the region. Most of those voting were Christian or animist. Should the country remain peaceful, secession will split Africa’s largest country, making South Sudan the world’s youngest country. Africa will become home to 54 states. The referendum is the culmination of the six-year Comprehensive Peace Agreement that started in January 2005. This deal between President Omar al-Bashir’s ruling party, then called the National Islamic Front, and southern rebel leader John Garang’s Sudan People’s Liberation Army (SPLA) ended a 21-year conflict that resulted in some 2 million deaths and 4 million people – half the population of southern Sudan – becoming displaced. Santino was one of the homeless. “I was born in 1983, during the war. I grew up in the bush” he said. His childhood was inextricably linked with war. “I became a child soldier. I was taught under the trees” he said. Eventually Santino moved to a refugee camp in Yei, a town in central Equatoria, southern Sudan. Now he’s in exile, living in Kampala, Uganda. Soon he hopes to return to an independent South Sudan. “Goodbye Khartoum! Goodbye Khartoum!” ran one of the chants among Sudanese exiles who had travelled from Uganda and gathered outside Abila on the first morning of voting. “Goodbye northern government” a man exclaimed as he dipped his finger into an inkwell to prove his vote at one of the town’s polling stations. The sentiment is clear but opposition to Khartoum may not form an adequate basis for effective national government. Southerners have little experience in governance. The region is particularly ethnically diverse, with a history of inter-ethnic feuds with the other southern tribes. 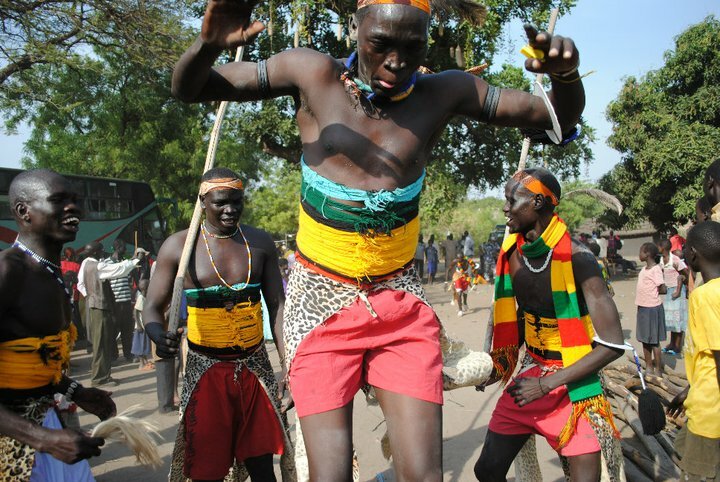 The Nuer and Shilluk, for example, fought against the Dinka during the second north-south civil war. The country is landlocked and one of the world’s poorest. South Sudan will inherit 80 percent of the country’s oil, but this could be more of a curse than a blessing for ordinary southerners, with huge potential to create corruption and political instability. “The Dinka and Nuer will be unified after the referendum” says Juach Deng, a young observer for the Sudanese People’s Liberation Movement, the political wing of the SPLA. “The oil issue won’t be a problem” said Deng confidently. It may be for the North. President al-Bashir is under pressure from oppositionists who have long disagreed with his hostile stance to non-Muslims. Many feel he ‘lost’ the south, and with it, significant oil revenue. “We feel an incredible sadness that a … very loved part of Sudan will separate from us,” said Sara Nuqdullah, a northern opposition Umma Party official. Leaving aside future worries, fighting threatens to break out between the North and South. Violence blighted the first day of voting with over 30 people dying in clashes between the Massiriya and Ngok Dinka in Abyei, an area which lies on the envisaged border between North and South Sudan. The following day a bus carrying voters in South Khordofan state was ambushed, killing 10 people. In spite of this, southerners enjoyed their moment, when history finally seemed to be on their side.